When we bought our house many years ago it had two "silly" lawns at the front. So we took them out and made a Sink Garden from the smaller one and a Sunken Garden from the larger. The Sunken garden is just two steps down but that drop makes all the difference to the atmosphere and feel of the space. 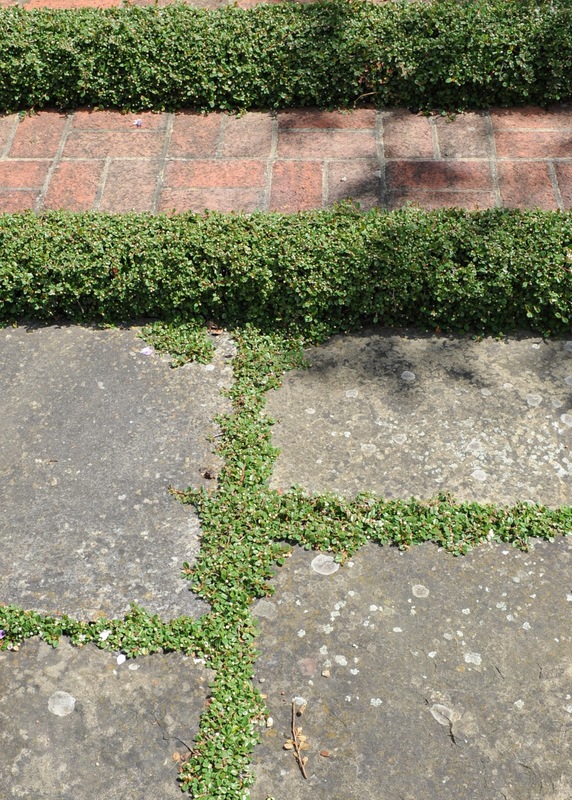 We decided to plant Cotoneaster 'Queen of Carpets' at the front of each step and created narrow soil gaps between the steps to plant it in. Queen of Carpets is wonderfully prostrate and requires only the slightest trim after its Spring flowering. It has dainty white flowers in the Spring and bright red berries in the Autumn. But its really special feature is just how prostrate it is. It stays flat all the time. Here it is in the Spring. Each row is 15 metres long. Is this the longest step underplanting in the UK? More recently we noticed a new phenomenon. 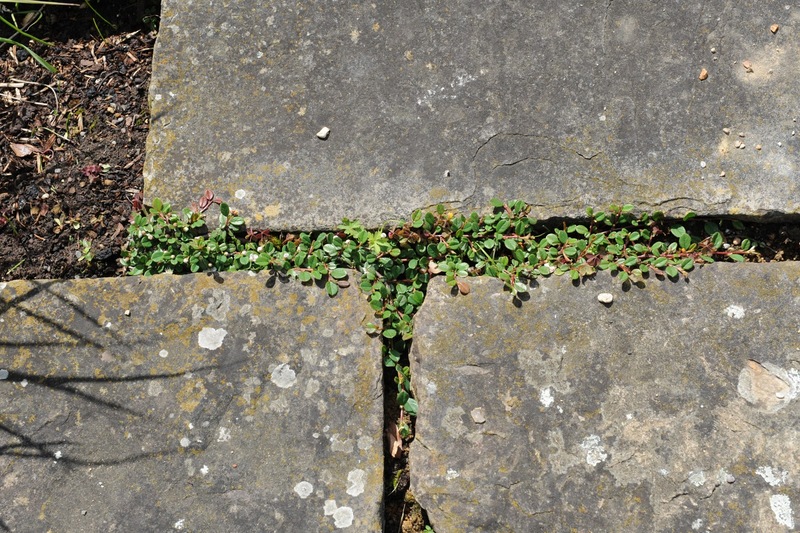 The bottom row of Queen of Carpets was creeping along the cracks in the York Stone flags of the Sunken Garden. Absolutely flat and only in the cracks. 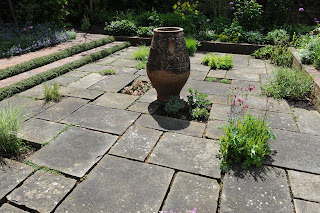 We thought this was wonderful and decided to plant Queen of Carpets in spaces all over the Sunken Garden so that it would fill all the cracks. Every Autumn we take cuttings and put them in pots of soil and grit. We leave them all Winter under the North side of a hedge. 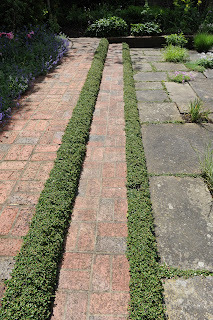 In the Spring these give us new plants, which we position in the earth holes which are scattered over the Sunken Garden. It will take time. But one day all the cracks in the Sunken Garden could be filled with Queen of Carpets.